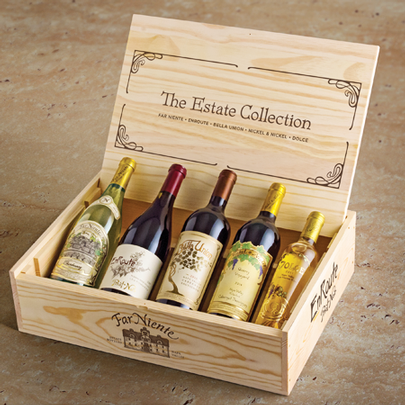 Give the gift of Far Niente, EnRoute, Bella Union, Nickel & Nickel and Dolce—the only wine gift that features bottles from each of our wineries! Elegantly presented in a custom-made wood box with a hinged lid, these five bottles are signature expressions of five extraordinary wineries. 2017 EnRoute Pinot Noir, Russian River Valley, "Les Pommiers"